This post contains affiliate marketing links. I may receive a small commission if you purchase through these links. You may read my full disclosure policy here. 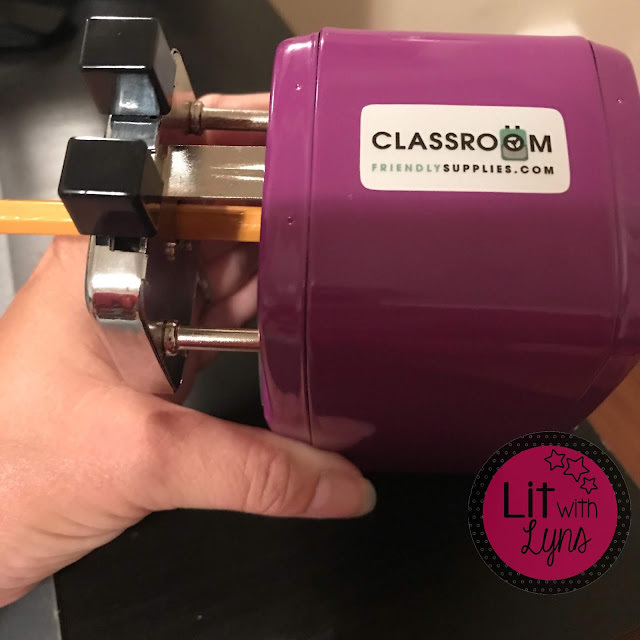 I am super excited to be doing a blog review for the Classroom Friendly Pencil Sharpener from Classroom Friendly Supplies! The owner of these amazing products is also a teacher, so he can truly identify with what we need in the classroom! A couple years ago, my electric pencil sharpener got broken for the millionth time by one of my "it's not my fault" students. 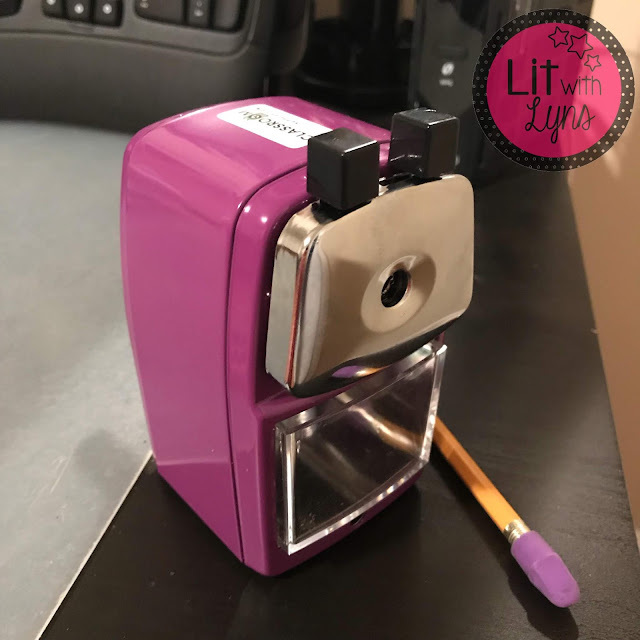 So over the summer, I started researching...yes, I said researching (only teachers would actually research pencil sharpeners), pencil sharpeners to use with students. I also asked around in my teacher Facebook groups, and everybody seemed to suggest the same one-- the Classroom Friendly Pencil Sharpener. Once I saw it in action, I have to say... I was AMAZED! A few of my favorite things about it are: it's extremely quiet, has an auto-stop, AND it's portable! That means you can take it with you any time you're moved to another classroom or school, take it home over summer break, and students can even pass it around to those that need to use it!!! It does come with mounting hardware, but I prefer to be able to transfer it as needed. Even more exciting, you don't hear the annoying, stop you in the middle of teaching pencil sharpening that is bound to take place at the worst possible time... just when you get to the most important part of the lesson that everyone needs to hear! 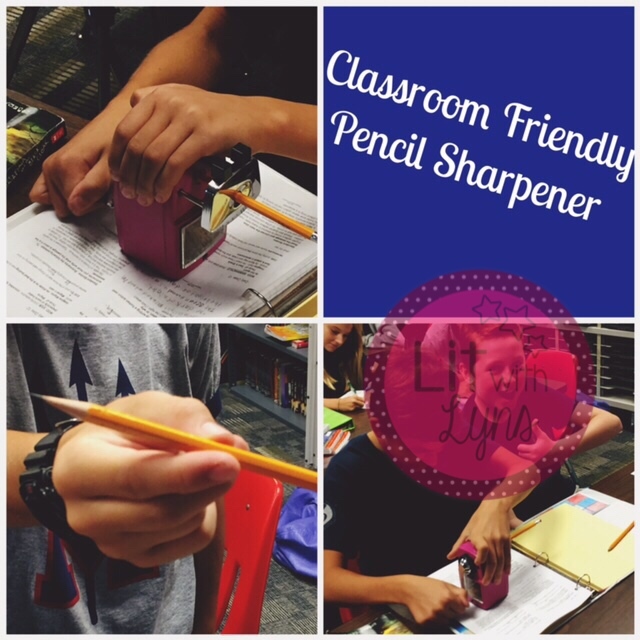 My students and I both agree that this is the best non-electrical pencil sharpener there is! You can also choose from a variety of colors! I now have a hot pink and purple sharpener. I must say, if you're looking for an electric sharpener, I've had great luck with the X-ACTO. It has also been extremely durable and has a plastic bottom that suctions to the table. This keeps it stable on the table when kids are sharpening their pencils. To see how it works, check out this video.